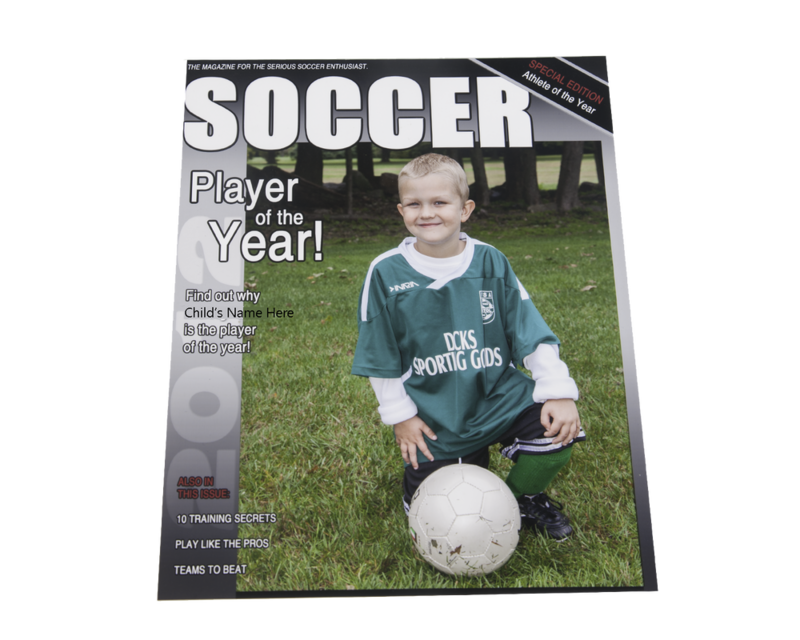 To place an online order, please click on "Youth Sports Order Form" in menu. 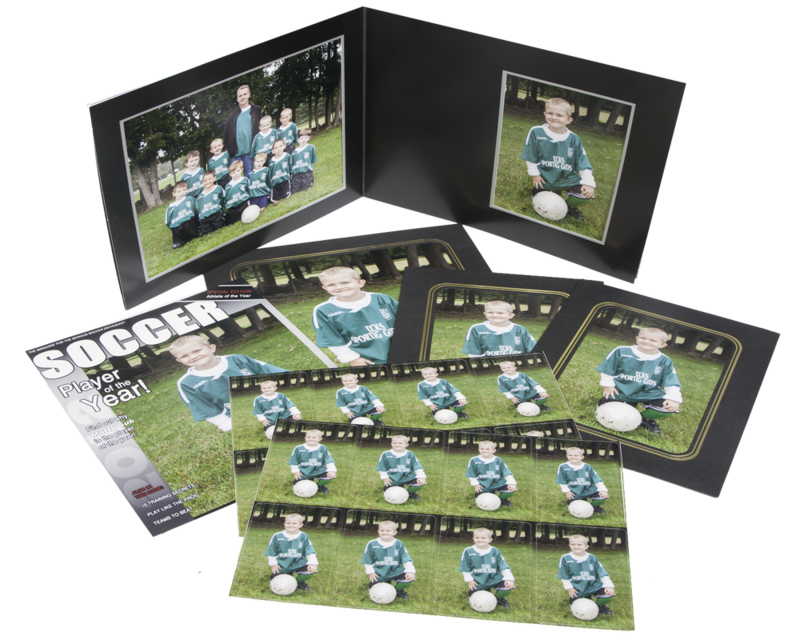 *styles may vary Includes 5x7 Individual Photo and 10x8 Team Photo in a general sports folder. 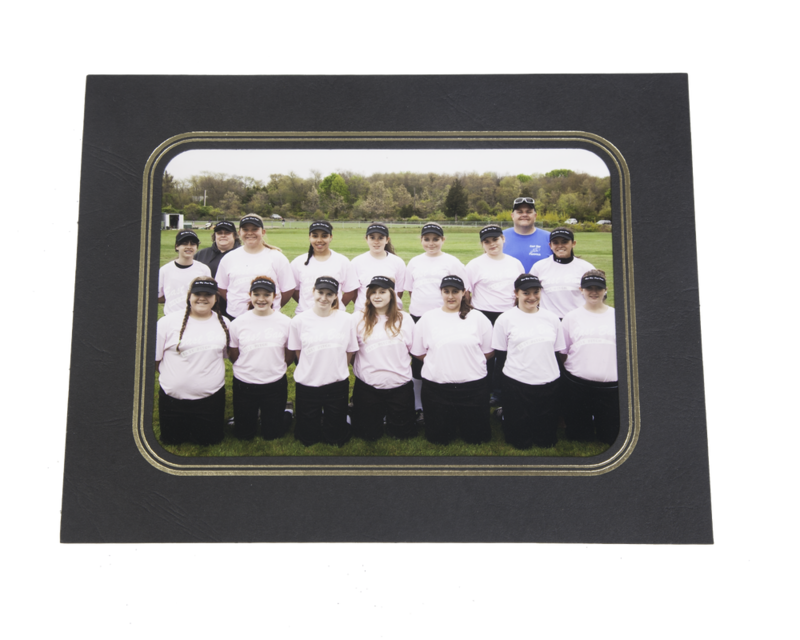 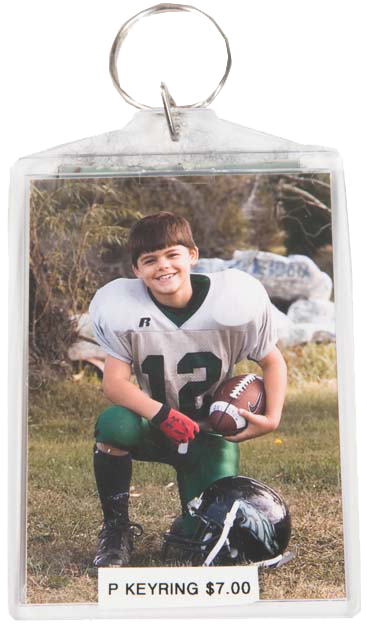 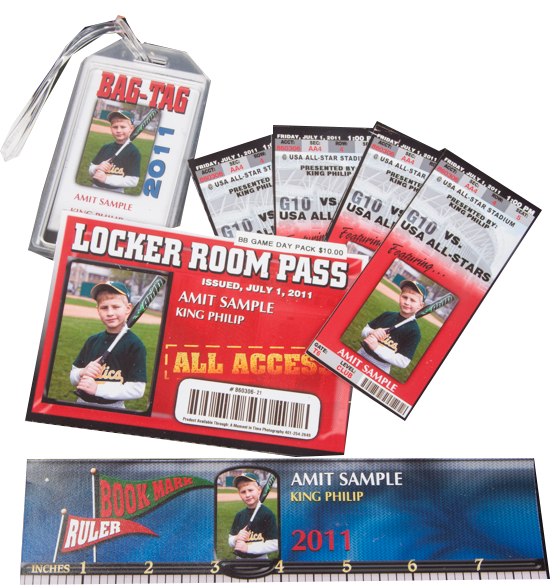 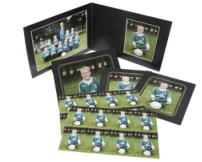 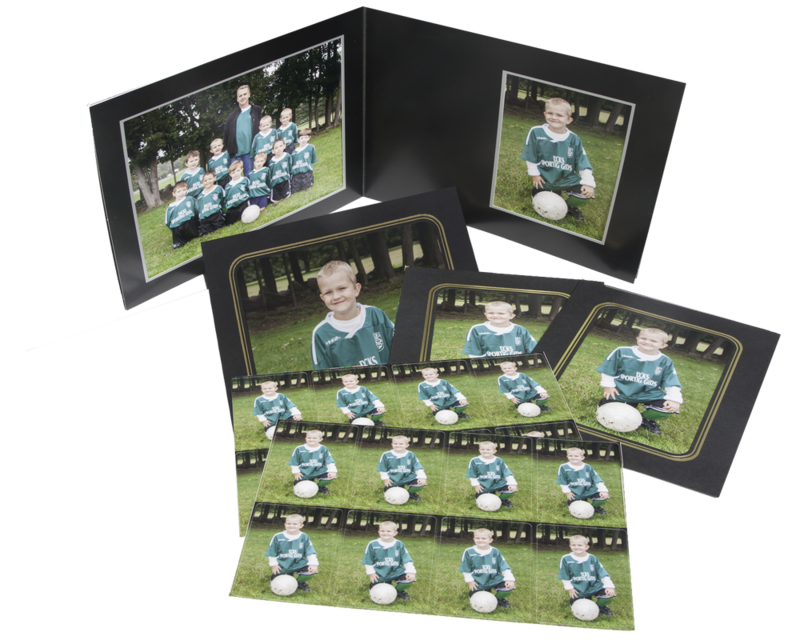 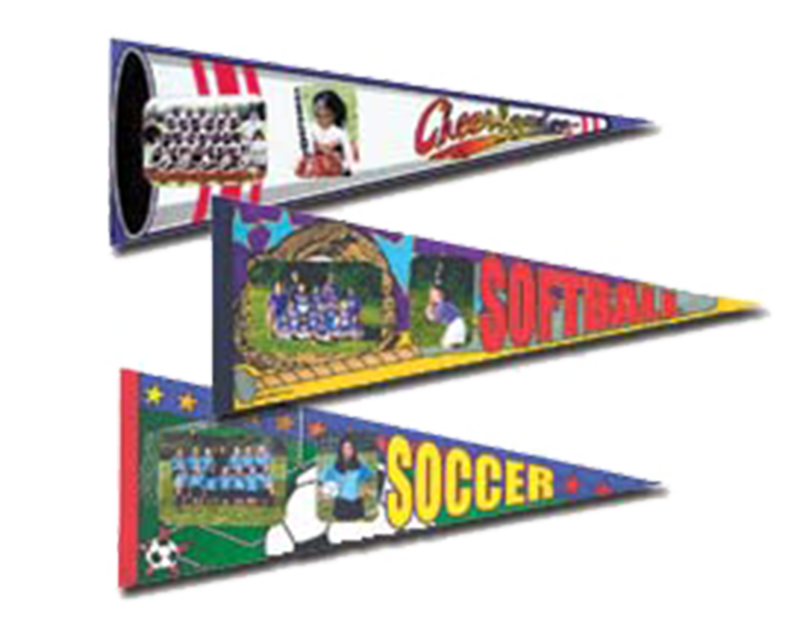 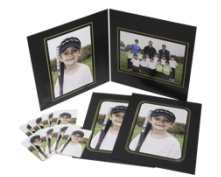 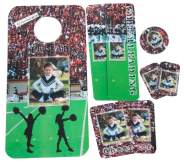 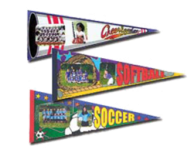 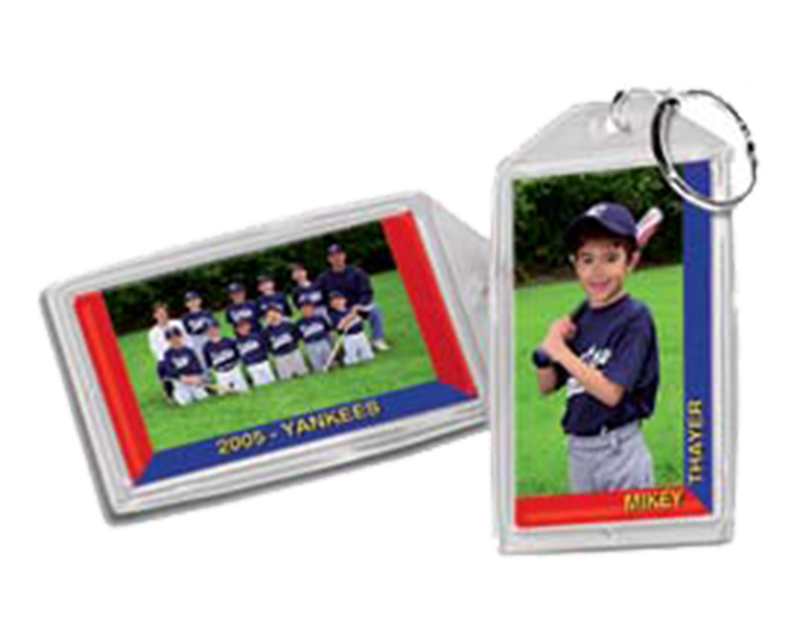 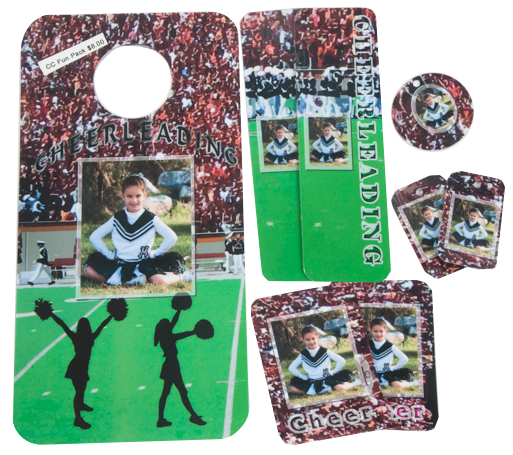 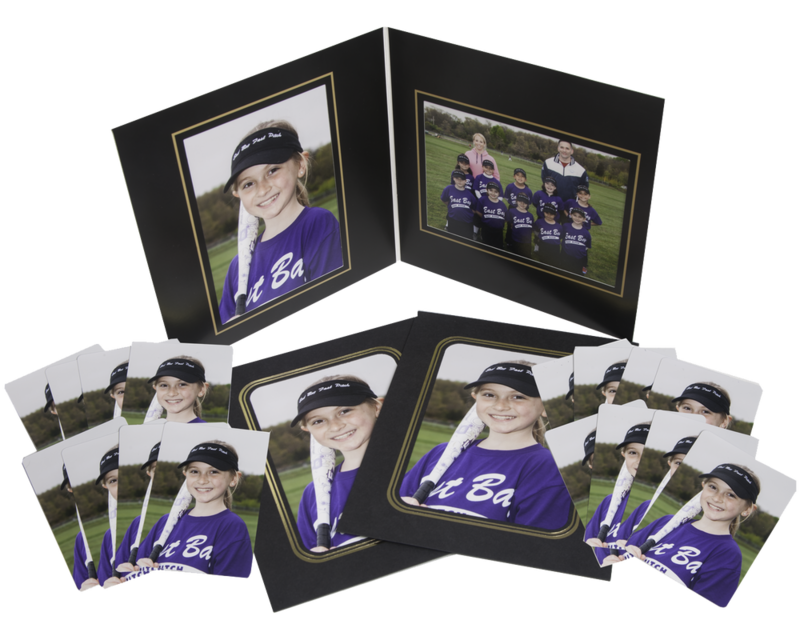 *styles may vary Includes 5x7 Individual Photo and 7x5 Team Photo in a general sports folder. 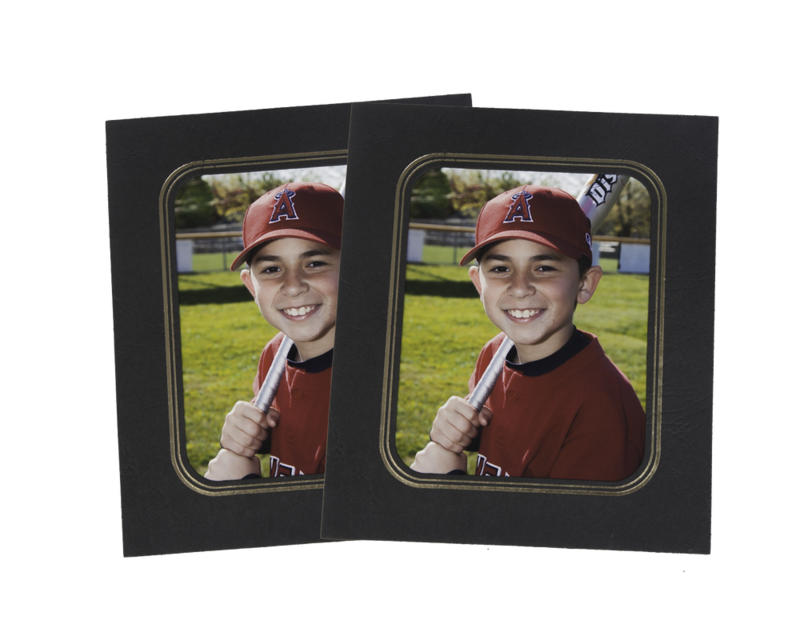 Double-sided wallets printed on sturdy photographic paper. 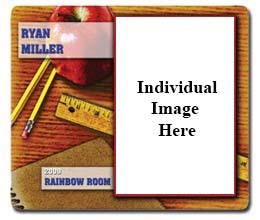 Please fill information as complete as possible. 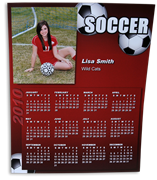 *styles may vary Calendar date starts the month order is submitted. 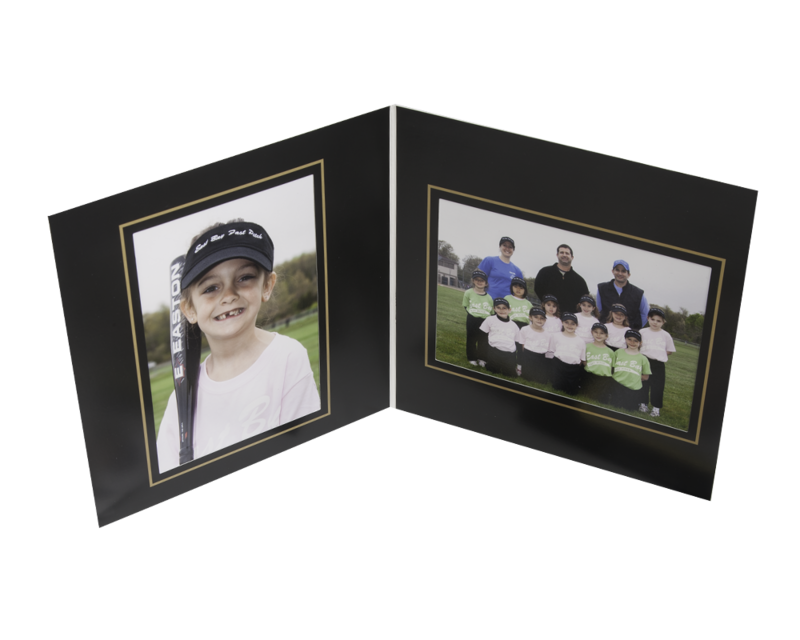 Presented in a folder frame for easy display. 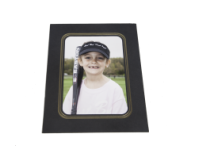 Sturdy magnet with 4x5 individual print. 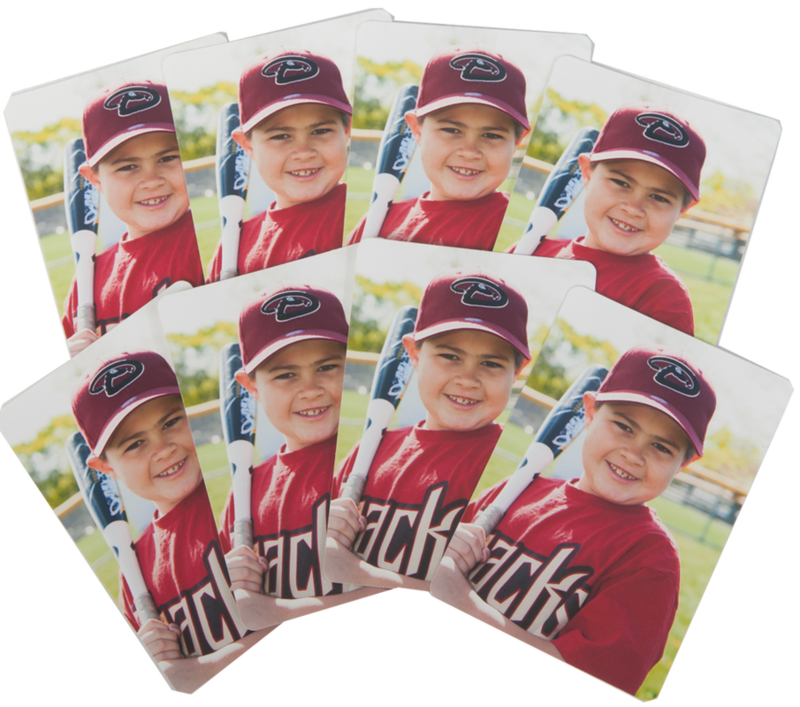 16-ounce travel mug comes with lid and includes individual photo with name, team and year. 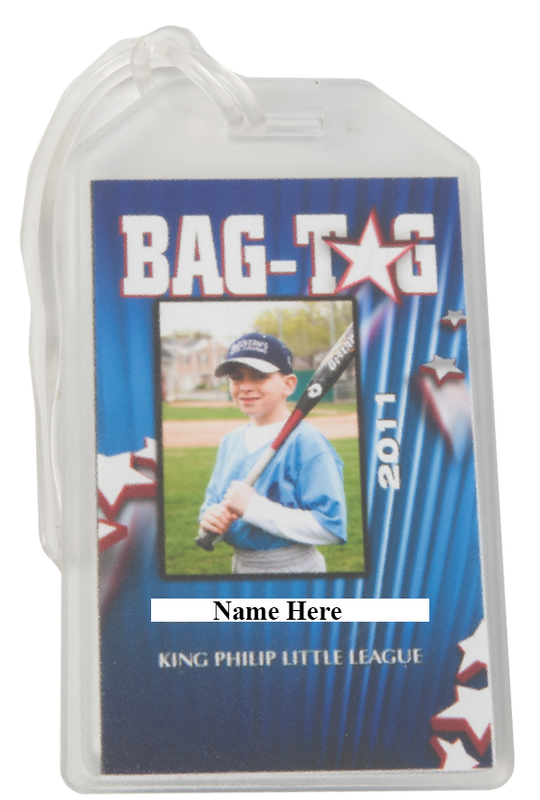 Our plastic water bottles holds 15 ounces and includes a storage compartment at the bottom, perfect for keys and money when at the ball field. 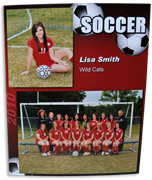 Individual photo with name, team and year. 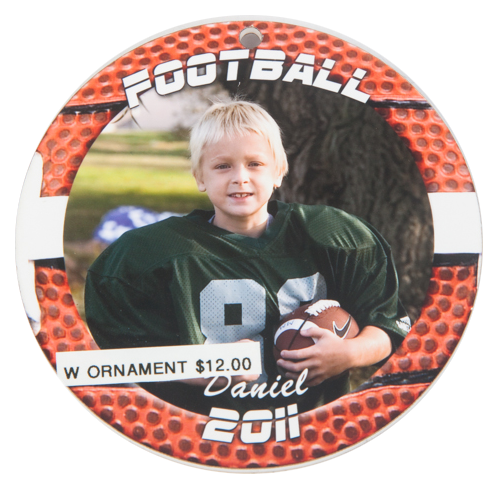 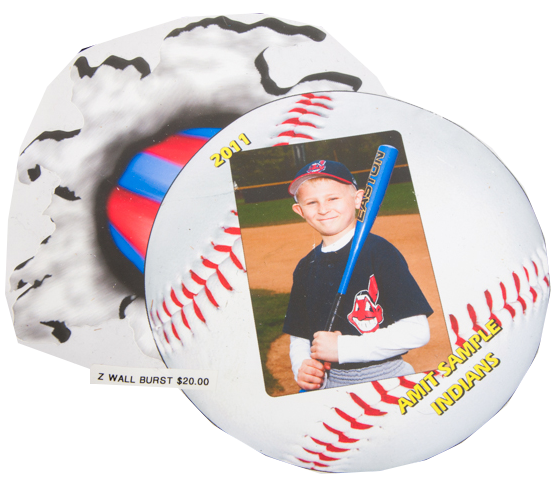 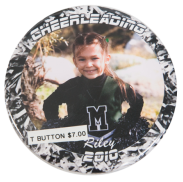 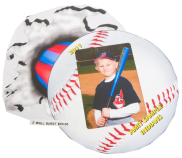 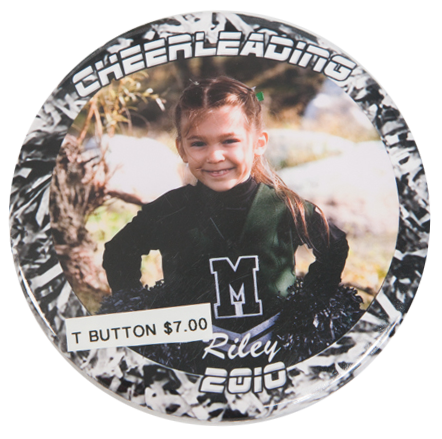 Ornament measures 3.5" in diameter and includes individual photo, surrounded by sport specific design on both sides. 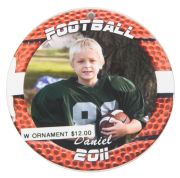 Also includes name and year. 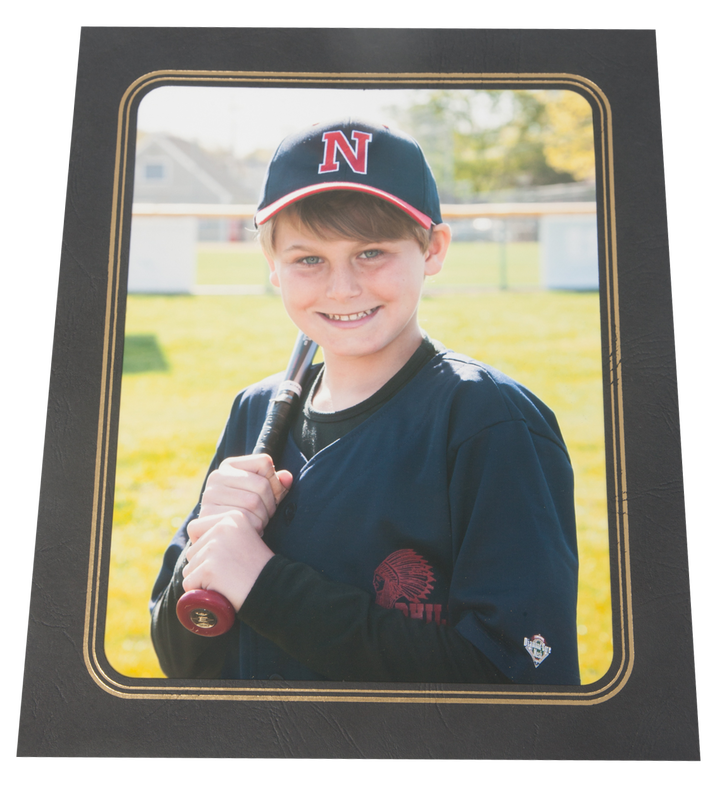 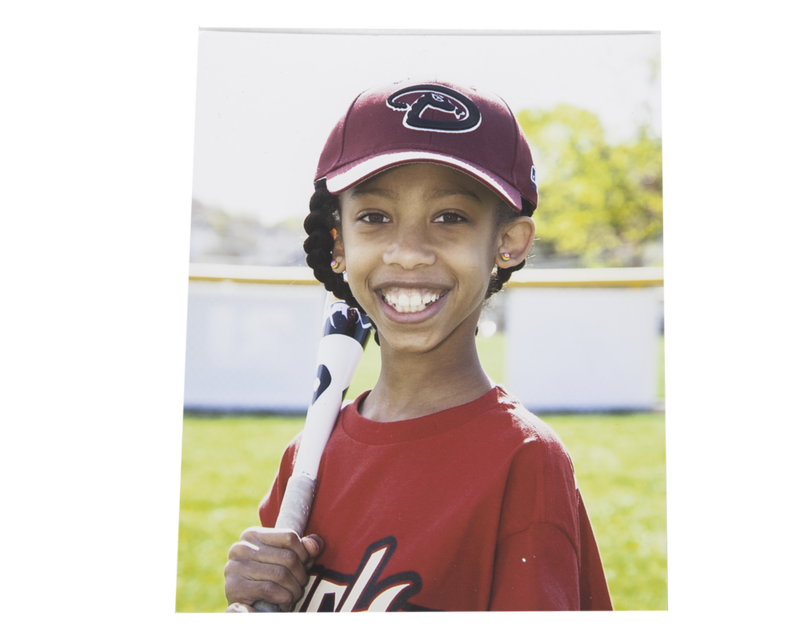 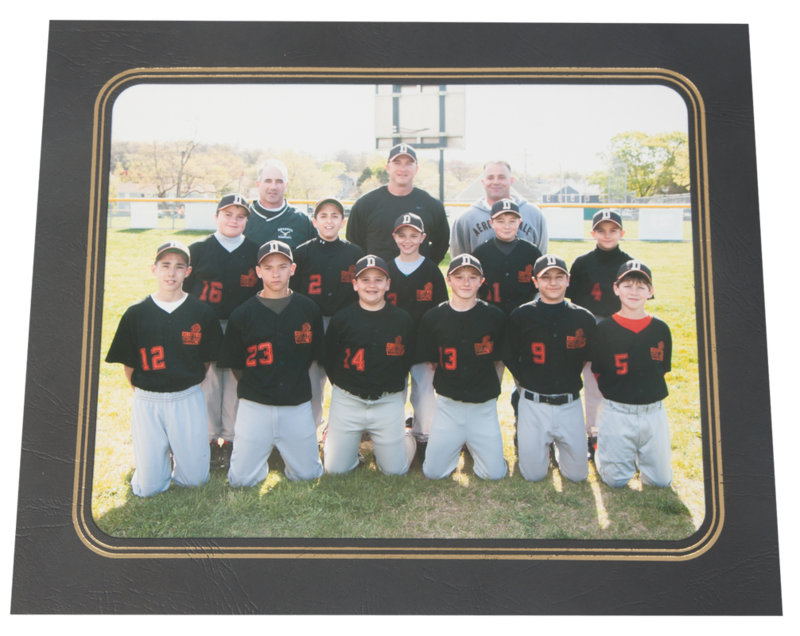 Wood plaque includes sport specific medallion, 4x5 individual photo and 7x5 team photo. 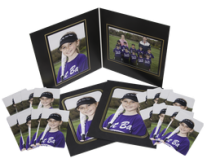 Comes with extra 4x5 individual photo. 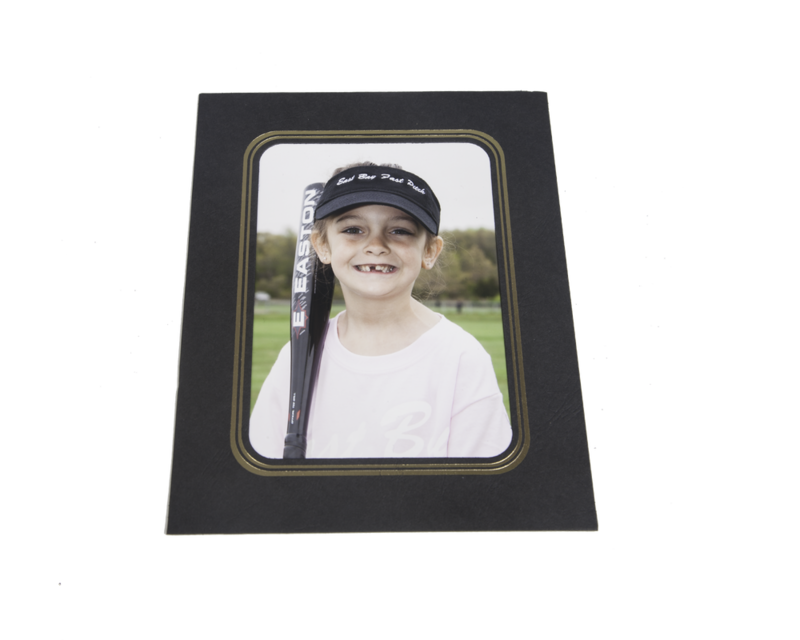 6"x8" wall burst will stick and re-stick to almost any surface. 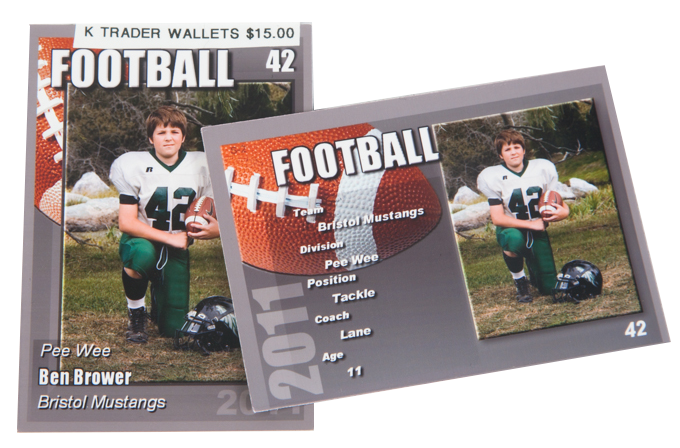 Includes 2.5"x3.5" individual photo, as well as name, team and year. 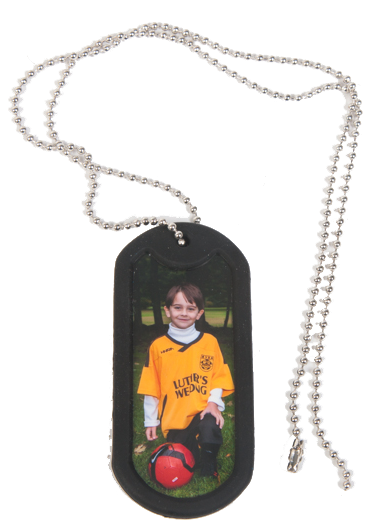 AA Dog Tag NEW STYLE! 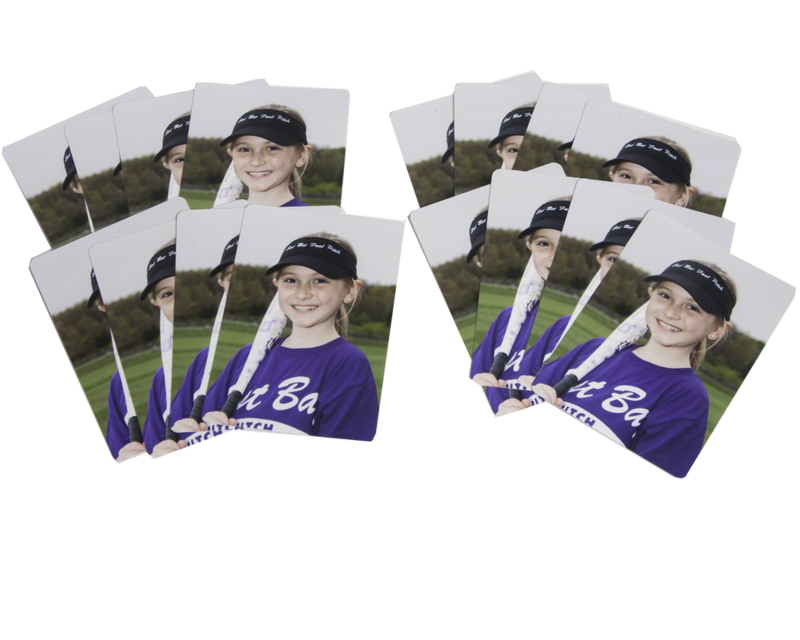 printed on 8x10 sheet. 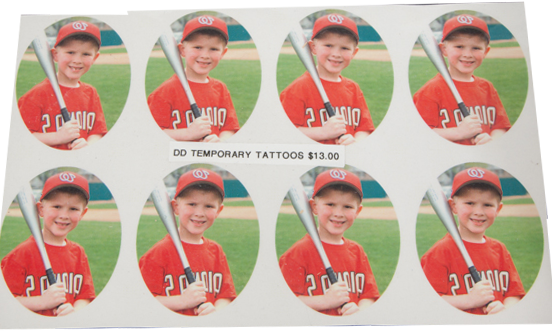 Includes instructions for application. 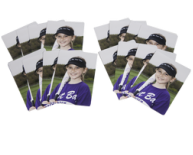 *styles may vary Printed sheet of 50 1"x1.5" individual stickers. 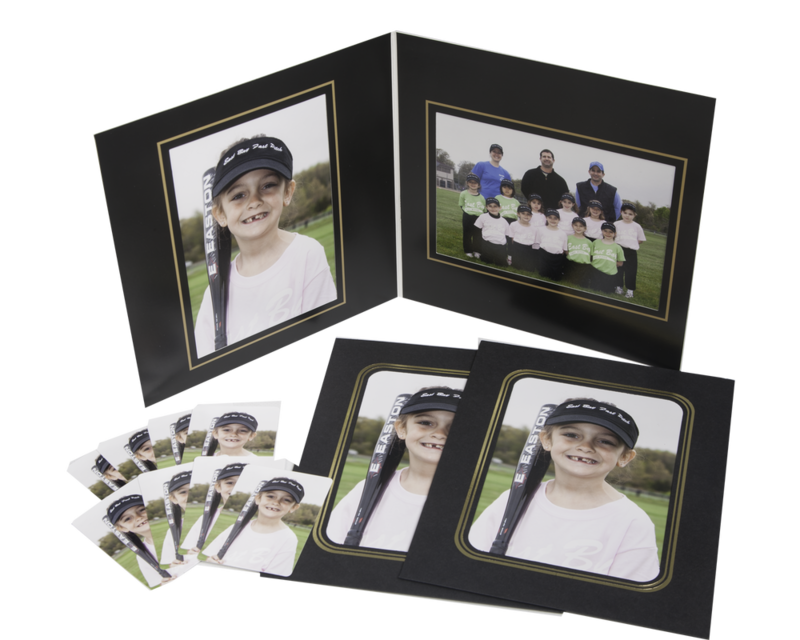 8x10 high resolution (300 dpi) digital file of individual photo only. 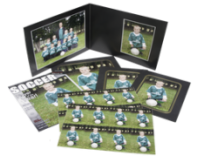 Delivered on a CD with copyright release information.